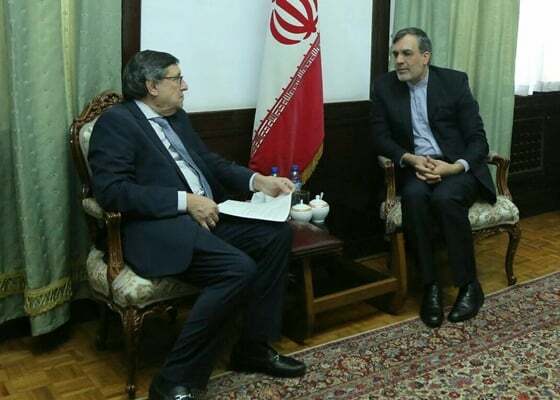 Senior Advisor to Iran’s Foreign Minister in Political Affairs Hossein Jaberi Ansari and the UN’s Assistant Secretary-General for Humanitarian Partnerships in the Middle East and Central Asia Rashid Khalikov have discussed the Yemen Crisis in Tehran. Khalikov and his entourage met Jaberi Ansari at the Iranian foreign ministry building on Sunday. The meeting focused on Iran-UN humanitarian cooperation, in particular helping the crisis-hit countries in the West Asia. The two sides also discussed the catastrophic humanitarian situation in Yemen, and a forthcoming international summit on delivering humanitarian aid to Yemen. Riyadh and its allies launched a brutal war against Yemen in March 2015 in an attempt to reinstall former Yemeni President Abd Rabbuh Mansur Hadi, a staunch ally of Riyadh, and defeat the Houthis. After 3.5 years of deadly attacks on the innocent people of Yemen, international efforts to end the crisis are coming to fruition, as both warring sides have vowed to attend an upcoming round of peace talks in Sweden.